Risk & Compliance Review – Part II: Are you moving forward in the most efficient manner? Last week in Part I of this series, we took a collective pause to make sure we checked off everything on our 2018 risk regulatory checklist before fully embracing 2019. Now, in order to set ourselves up for success in the New Year, it’s important to know the trending risk and compliance topics the industry is focusing on in 2019. 1. Read the NCUA’s 2019 Supervisory Focus. This is a great first step in setting your department/team goals. 2. Fraud in 2019: Counterfeit Instruments. Taking the necessary steps to ensure your frontline and operations staff know how to verify suspected counterfeit instruments in 2019 can alleviate unnecessary headaches, risk and losses. Refer to these resources for guidance and tools on verifying treasury checks and various kinds of money orders. Additionally, the League is starting a new quarterly call series: Quarterly Fraud Calls. The first call is set for March 14, 2019 at 10:00 a.m. Click here to RSVP (login required). Archived audio from the calls will be stored on the League’s New Compliance Community here. 3. Cybersecurity: update your strategy and plan for 2019. BrightTalk has an informative, free archived webinar, sharing cybersecurity attack trends and strategy in 2019 (RSVP required). Solutions eSecurity also has a 2-part article series, 2019 Security Planning Guide, that explores the future of security and attack trends in 2019. Read Part I & Part II. 2019 Credit Card Market Report – Every two years, the CFPB releases and updates consumer credit card market report. The last report was issued in December 2017. The report includes great industry information, that can assist various areas of the credit union such as operations, lending and MLA compliance. Cardholders have on average fewer credit cards than before the recession; for example, prime borrowers on average had five cards before the recession and now have an average of four cards; and more consumers are signing up for secured cards that require a cash deposit. January 1, 2019: Appraisals for Higher-Priced Mortgage Loan Exemption Threshold Adjustment (Effective Jan. 1, 2019) (Reg Z - Truth in Lending Act) - These resources address rules about when appraisals must be performed, who may perform appraisals and disclosure to consumers. Adjusts error resolution requirements. In June 2017, the Bureau proposed amendments to require consumers to register their accounts to receive fraud and error protection benefits, such as the right to dispute charges and have stolen money restored, and to extend the protections retroactively to suspected thefts or disputes occurring before registration was successfully completed. Provides more flexibility concerning credit cards linked to digital wallets. Digital wallets provide consumers with an electronic way to use their debit and credit cards. Some digital wallets are also prepaid accounts because consumers can use them to store and access funds directly. The rule changes ensure that consumers continue to receive full federal credit card protections on their traditional credit card accounts while making it easier for them to link those accounts to digital wallets that can store funds. September 20, 2019: Providing Faster Funds Availability (Effective Date) - Funds from Same Day ACH credits processed in the existing first window will be made available by 1:30 p.m. local time. Funds from certain other ACH credits will be available by 9 a.m. local time by the receiving financial institution. IRS: As part of the IRS shutdown, the processing of tax transcript 4506-T form requests is limited to those tied to disaster relief. There is no processing of non-disaster relief transcripts (i.e. those that lenders depend on for mortgage, student loans and other borrowing). Lending departments need to have a backup plan for the short term. Checks & ACH: The good news is that Social Security, Medicaid and Medicare payments won’t be interrupted by the partial shutdown. All three programs are considered mandatory spending and are not affected by a federal budget debate. For military veterans, Veterans Affairs disability and retirement checks are expected to go out on time, as will survivor benefits. This is information to relay to your staff & members to help assist them through this time in 2019. 7. Wearing many hats? Seek training to stay up-to-date on risk management matters. Whether you manage various roles or you’re strictly in the risk or legal department at your organization, I recommend taking Nexsen Pruet’s 2019 Employment Law Certificate Series: Building Workplaces that Win. I completed this refresher in 2018 and it was a great way to stay current as a manager. 8. Subscribe to CCUL’s Case Law Review. Regulatory compliance is only the beginning of knowledge to a new rule or law, however, how courts apply and interpret these regulations can directly affect how the credit union C-Suite, legal and risk departments govern themselves. League-affiliate credit unions are encouraged to join our website so you can start receiving this quarterly publication. Additionally, be on the lookout for our 2019 GRC Legal Update event in August which brings content like this and much more. Finally, once you begin to put this list to use to set your department or team goals for 2019, know that you are not alone. The Carolinas Credit Union League Risk Management Resources Department is ready to assist you in your future endeavors. Contact us today at risk@carolinasleague.org or reach out to any member of our team. 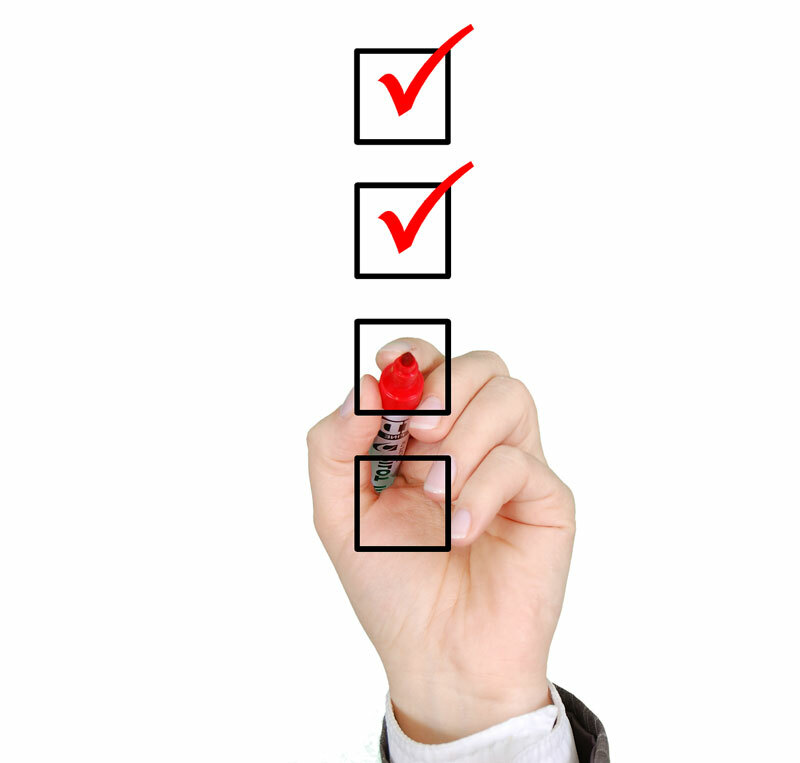 Risk & Compliance Review – Part I: Are you moving forward in the most efficient manner?